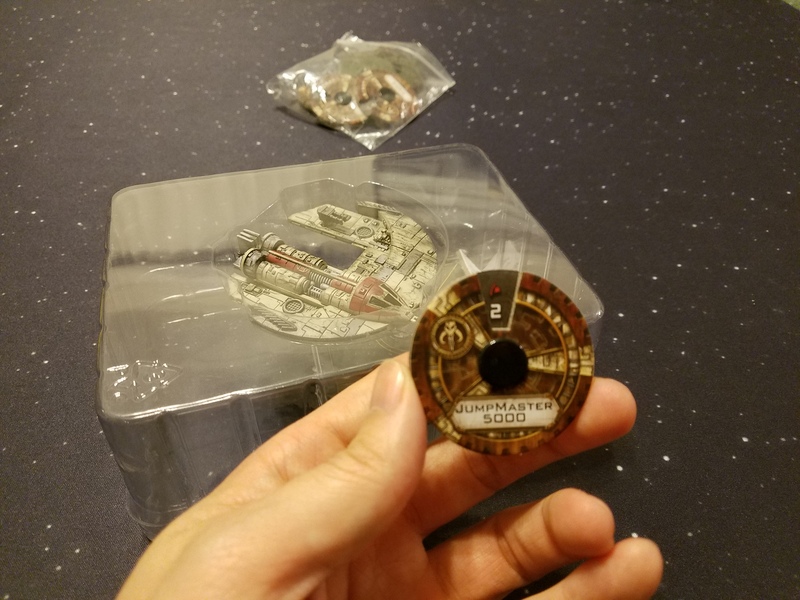 My excitement over being able to re-use ships that I already have was mitigated somewhat by the fact that this set does not include any alternate pilot cards for any of the YT freighters available in the game. Though, if the Board Game Geek forums are any indication, my disappointment is not shard by other players. Even if there aren't any good characters within the extended universe to use as pilots for those ships, I still would like to have seen at least one generic "Scum Smuggler" (or the like) for the YT-1300 (Millennium Falcon) and YT-2400 (Outrider). I mean, smugglers definitely seem to fall into the categories of "scum" and/or "villainy", just as much as bounty hunters do. While the base Most Wanted pack offers a fair amount of ships and some decent variety, you'll probably still need some extra backup. This is especially true if you play with more than 100 fleet points in a game. 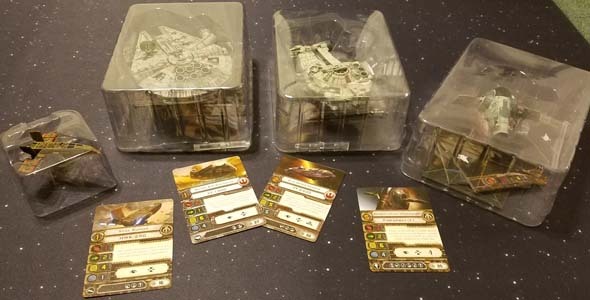 If you don't want to buy new, dedicated Scum ships, you can start by re-purposing some of your existing fleet with Scum pilots. 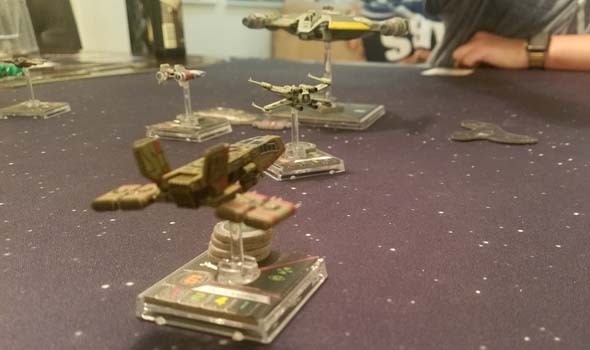 Any Y-Wings, Z-95 Headhunters, HWK-290 Freighters, or Firespray-31 ships that you already own can be slotted into your Scum list without any additional investment. I've already reviewed the Firespray, but didn't purchase the HWK-290 until we got Most Wanted. The HWK-290 standalone expansion is a Rebel ship, but the Most Wanted set comes with a few variant Scum pilots. The HWK-290 has pretty pathetic base combat stats. It's the first ship that I've seen that has a measly 1 attack power for its primary weapon. It also has a modest maneuver dial, and only has 4 hull, 1 shield, and 2 agility, which means it's not particularly durable either. The Moldy Crow title allows you to stockpile focus, and Kyle Katarn can hand them out to wingmen. Where it lacks in base stats, the HWK makes up for in upgrades and pilots. The 1 attack power can be offset by equipping the Blaster Turret upgrade, which gives you a strength 3 attack with a 360 arc. It only operates at short and medium range though, and it requires a focus to make the attack. I like the way that the reduced range and the focus requirement make the relative position of the ships matter (compared to other ships with 360 primary weapon turrets), and I feel that one or both of these elements should have been part of all turrets from the beginning. That focus requirement can be trivialized by adding the "Moldy Crow" title card, which allows you to keep any unspent focus tokens in play for the next round. You can stack up a lot of focus early, and then go to town with them. Friendly ships that get bonuses from focus tokens can benefit greatly from the Moldy Crow. The pilots for the HWK also have some pretty powerful support abilities. 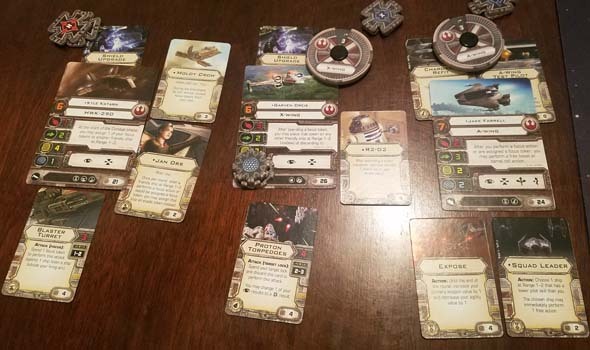 Kyle Katarn (of Dark Forces and Jedi Knight video game fame) can delegate out his accumulated focus tokens to other friendly ships within range 3. 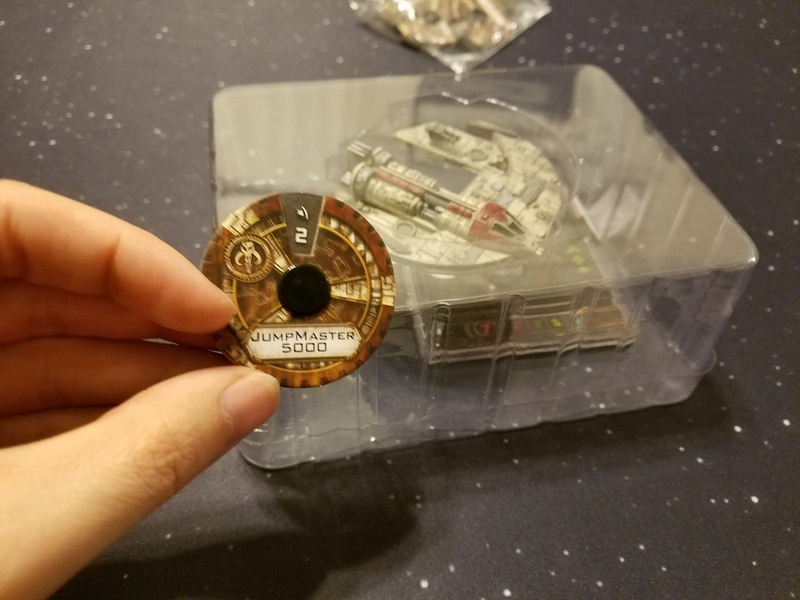 This is especially powerful when combined with pilots like Jake Farrell (an A-Wing pilot) who benefits from receiving extra focus tokens. Roark Garnet gets to buff a friendly ship's pilot skill up to a staggering 12! 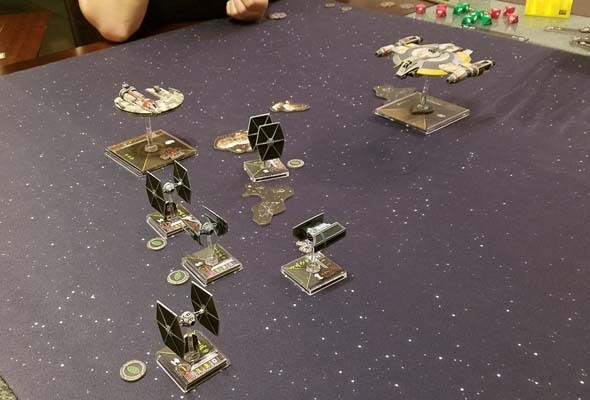 And Jan Ors can take a stress to grant an extra attack die to a friendly ship. With powers like that, who needs a gun? 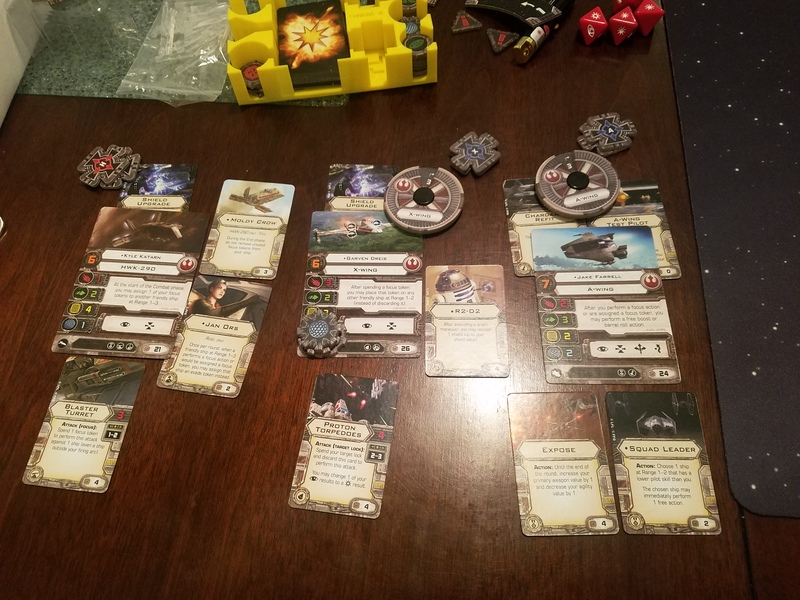 Most Wanted's scum HWK pilots have powerful debuffs. The Scum pilots included with Most Wanted turn the tables and have similarly powerful debuffs for their enemies. Palob Godalhi can steal focus or evade tokens from enemy ships. Torkil Mux can reduce an enemy's pilot skill to 0. And Dace Bonearm can take a stress to add damage to an enemy ship that receives an ion token. 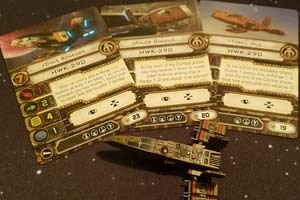 Within the realm of dedicated support ships in the X-Wing game, the HWK is about as good as they get. 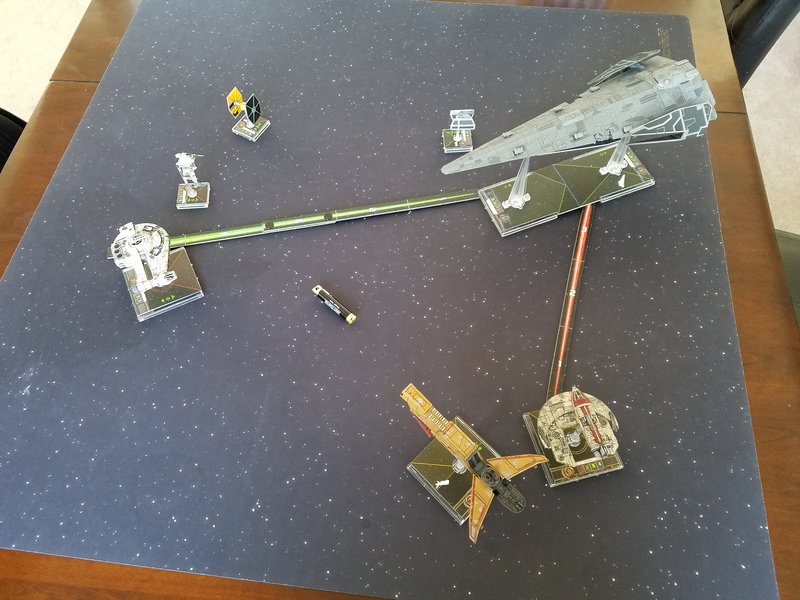 We also wanted to make sure that we had at least one large ship to include in our Scum lists. 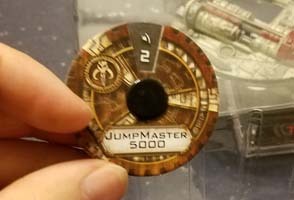 The Jumpmaster was actually the reason my girlfriend wanted Scum ships (and Most Wanted) to begin with. 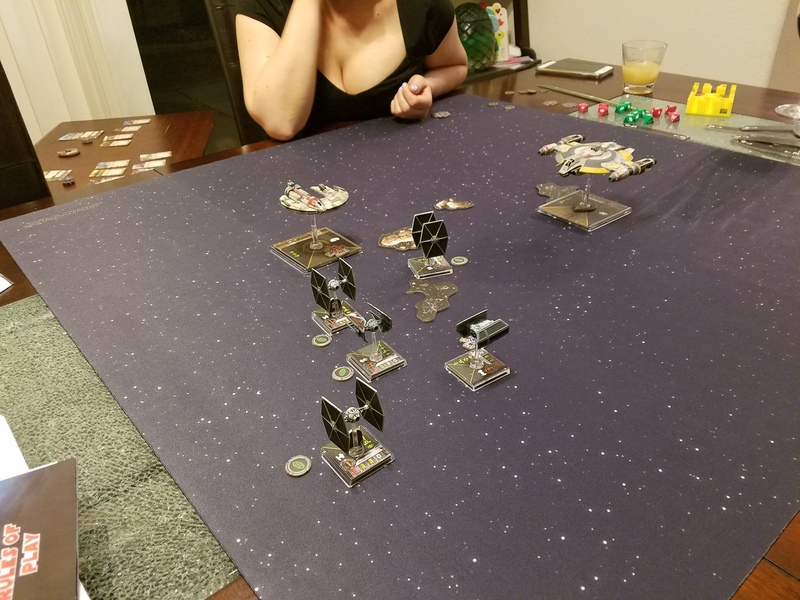 She had read reports of it being really powerful in tournament play (especially when paired with another copy of a Jumpmaster), and she wanted another ace in the hole against me (not that she needed it, as she was beating me consistently anyway). The Dengar pilot is truly a beast, and a nightmare to play against in a one-on-one setting. His pilot ability allows him to return fire against the first enemy that attacks him. Our first time playing, I missed the part of the ability description in which it specifies that this counter attack can only be performed against an enemy within Dengar's firing arc. This, of course, was extremely overpowered. Jumpmasters do have a 360-degree turret, but the counter-attack only works inside the normal firing arc (thank goodness). In any case, you'll want to make sure that you bring backup to focus-fire Dengar. If you let him get two attacks against your one, then you are dooming yourself. Dengar can return fire during an opponent's activation, making him devastating in 1-on-1. The Jumpmaster is also an interesting ship on its own right due to its novel maneuver dial. It introduces a new type of maneuver that allows it to perform a U-turn after a distance-2 banked turn. In addition, the Jumpmaster's asymmetrical shape means that its maneuver dial is also asymmetrical. Since the cockpit is on the left side of the ship, performing that U-turn to the port is a white maneuver; whereas, performing the same turn to the starboard is a red (stressful) maneuver. Similarly, more of the Jumpmaster's port turns are green maneuvers, while starboard turns are white. The Protectorate Starfighter has a similar "Talon Roll" maneuver that allows it to rotate 90° into the turn after executing a distance-2 turn, though both the Protectorate's rolls are red maneuvers. 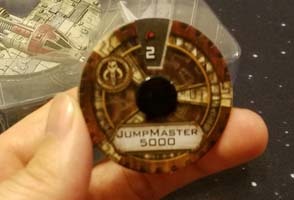 The Jumpmaster's maneuver dial is asymmetrical, with a banked U-turn. The Jumpmaster is a very interesting ship, but it's also the first ship that I feel is genuinely unbalanced. This bad boy might be a bit too good. This makes it difficult to rate him. By simple virtue of potentially being "overpowered", he definitely earns a high grade. The fact that it feels unbalanced, however, makes it difficult to recommend it. 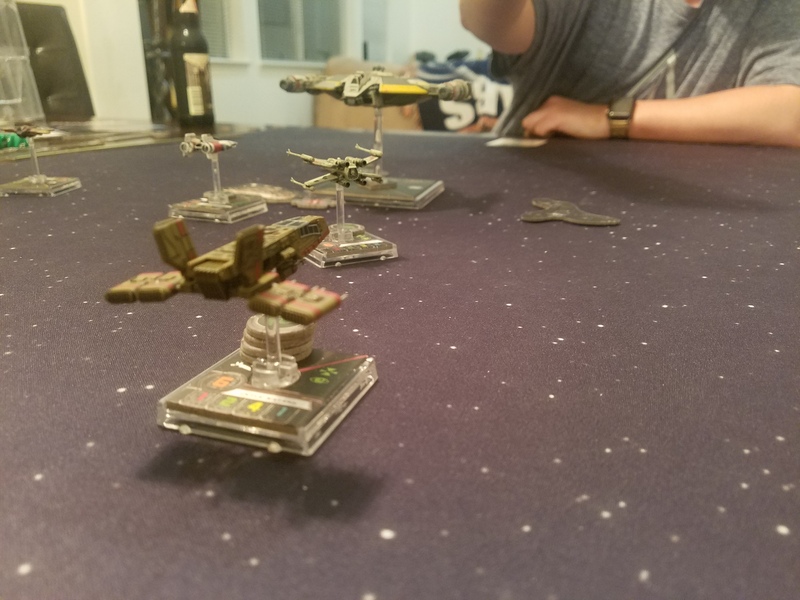 That being said, the Jumpmaster does introduce interesting nuances to the game, which I feel make it a worthwhile addition to an X-Wing collection. Shadow Caster has a turret that requires actual thought! The most interesting and novel element of the Shadow Caster is how its turret functions. 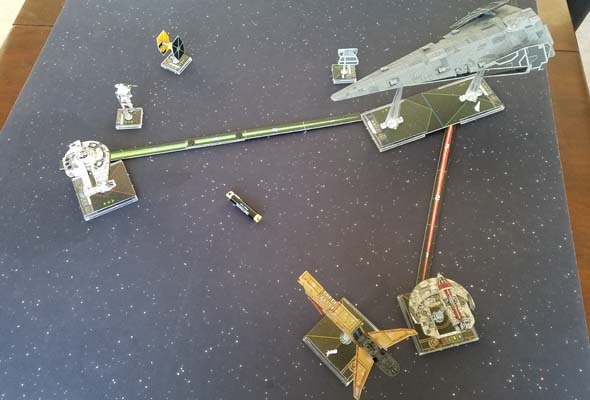 All other X-Wing ships with turrets are treated as having a 360-degree firing arc. They can shoot at any enemy ship within range 3, regardless of the ships' relative positioning (except for the HWK mentioned above). This is both overpowered and not very fun, as it completely removes any element of tactical maneuvering, which is kind of the entire point of the game! Shadow Caster's turret works differently however. It's not technically a "turret" in terms of game mechanics. Instead, it is a new mechanic called a "mobile firing arc". The ship's base has a little dial that can be rotated between the four quadrant of the ship, to point in one of four directions. The direction that the dial is currently pointing is the direction that the turret is facing, and the turret can only target ships within that quadrant's arc. 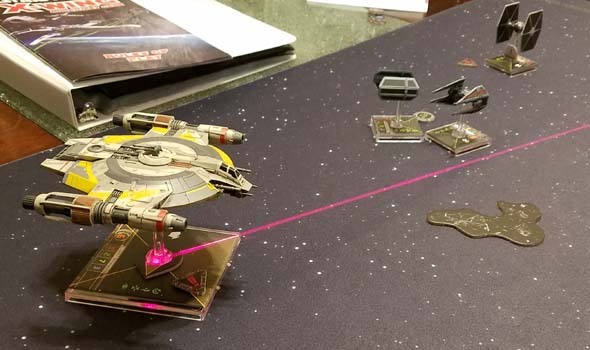 The Shadow Caster must spend an action to position its turret in one of four quadrants. This can leave you in a bind if you have to U-Turn or otherwise lose your action for the turn. Further, it costs an action to rotate that dial into a different arc. This requires the player to think much more carefully (and one or two steps ahead) with regard to how they position the ship's turret. 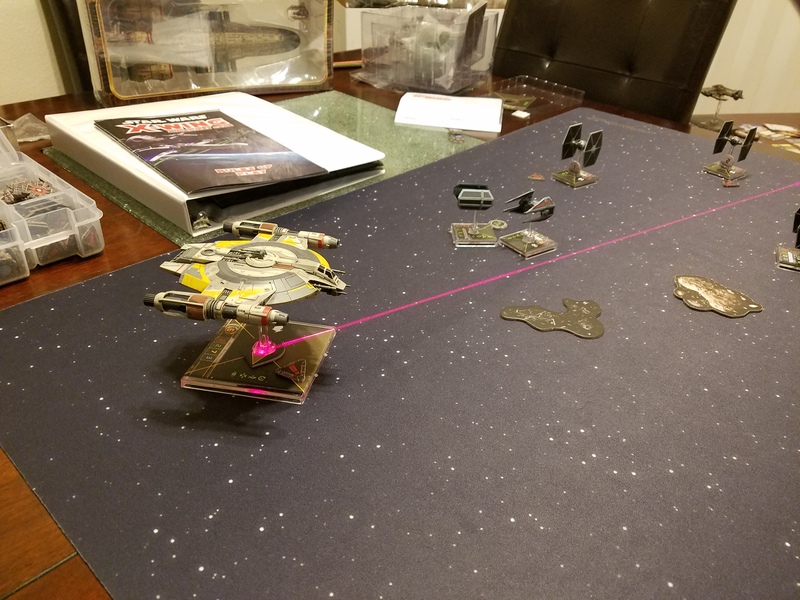 If you really need the ship's action this round in order to focus, or target lock, or use some other card's action, then you have to either have planned ahead and put the turret in an appropriate firing position the turn prior, or you have to maneuver the Shadow Caster to point the turret in the direction of a target. Do you point it at the lower pilot skill ship that already completed its move? Or do you try to predict the position of the higher pilot skill ship that has yet to move, and take the risk that if you guess wrong, you won't be able to shoot anybody this turn? 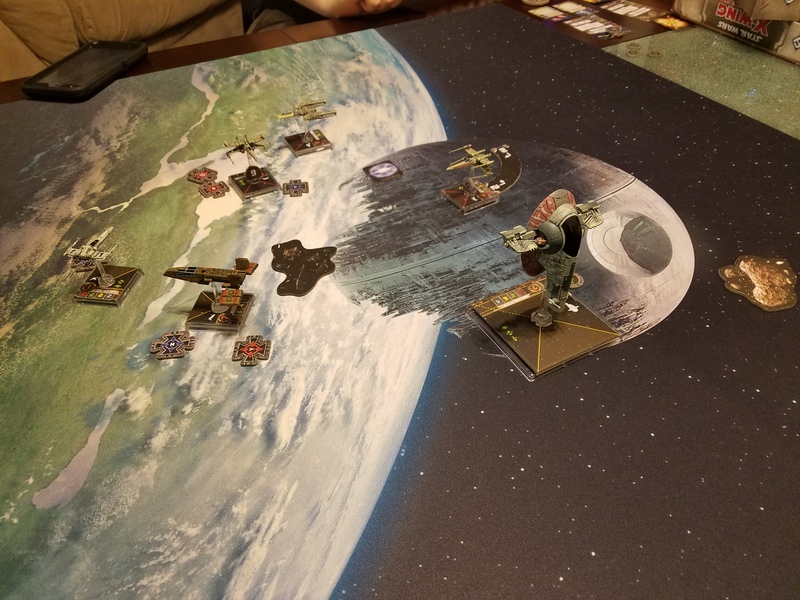 The other player will also have to think more carefully about how they position their ships with respect to Shadow Caster's turret. 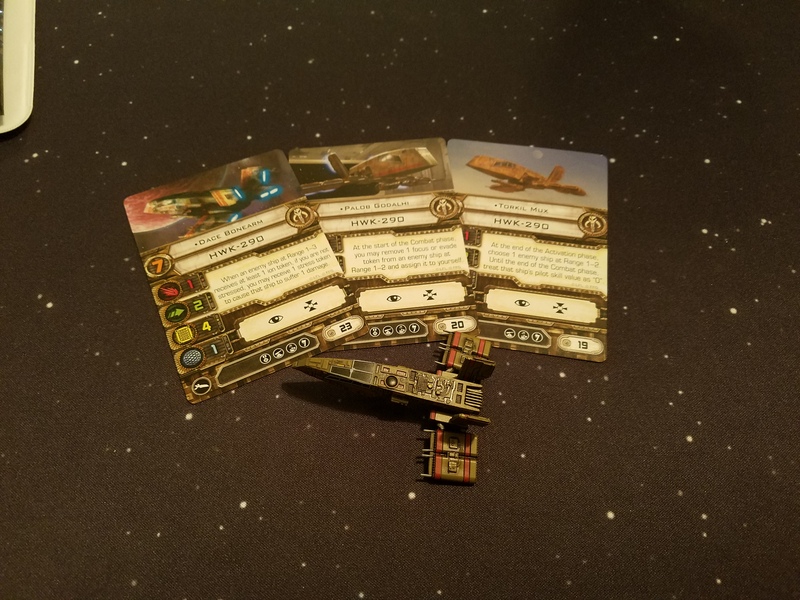 Do you spread your ships out so that Shadow Caster has to pick one, or do you try to out-maneuver your opponent and get all your ships into Shadow Caster's blind spot(s)? Tractor beams can pull an enemy into an obstacle. I actually wish that this is how all turret weapons worked! It's a better mechanic even than the HWK's limited range turret. 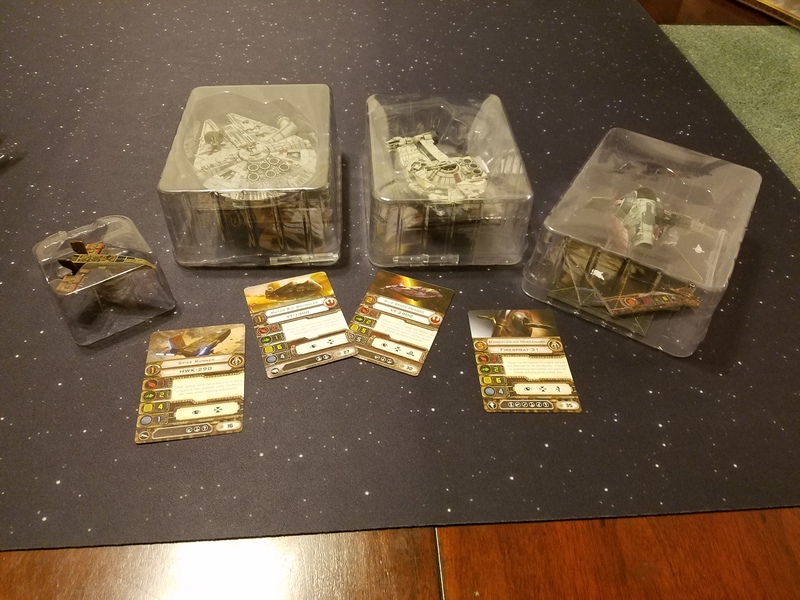 And wouldn't you know, the designers at Fantasy Flight apparently agree with me. The upcoming 2nd edition looks like it will back-port the Shadow Caster's mobile firing arc as a replacement for turret weapons for all ships. 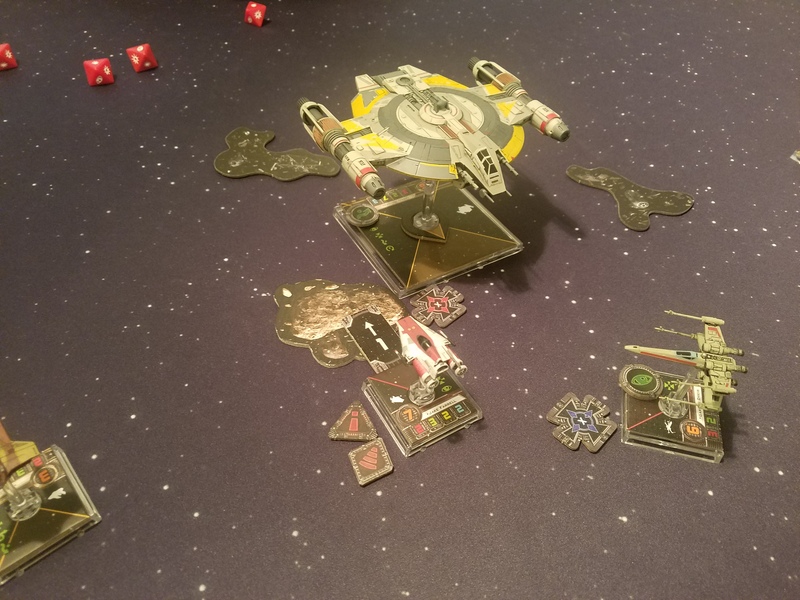 Turrets were perhaps my single biggest complaint with the expansions for the first edition of X-Wing, and so this change, by itself, might be enough to sell me on upgrading to second edition. In any case, balance issues notwithstanding, there's a lot of good, creative content here. 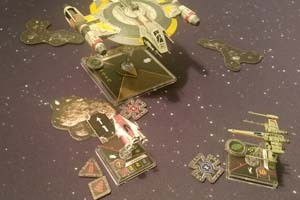 Scum and Villainy is definitely worth a look if you're looking to expand your 1st edition X-Wing roster. 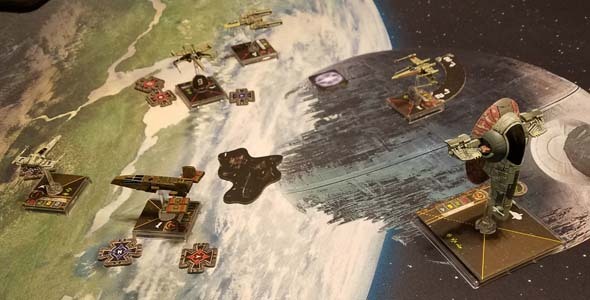 If you're planning on upgrading to second edition (or are waiting to start X-Wing until second edition), then you might want to hold off to see how second edition might change this faction. Very nice, detailed, collectible-quality plastic miniatures!